I had thought I’d lucked out this year when Jack wanted to wear a previous Halloween costume again. 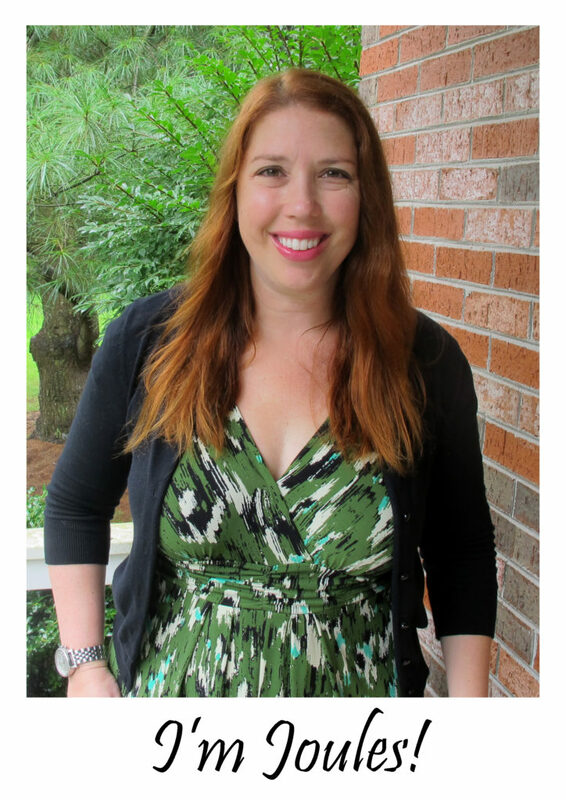 But I forgot all about ‘dress like your favorite book character day’ at school… Sigh. Because what working parent DOESN’T want to throw together a second costume the week before Halloween?! Last year for Halloween Jack was Batman, so he used his monkey costume (from the previous year) to be Curious George for character day. Well, this year he wanted to be a monkey (again) for Halloween… but didn’t want to be a monkey twice. 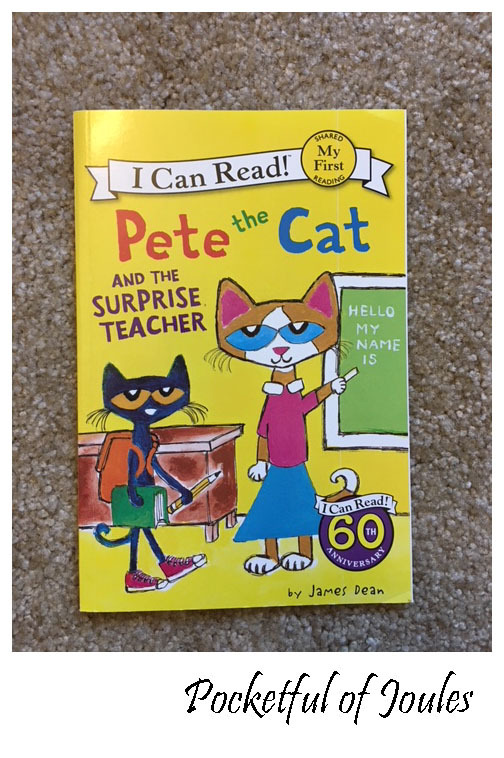 Which brings us to Pete. 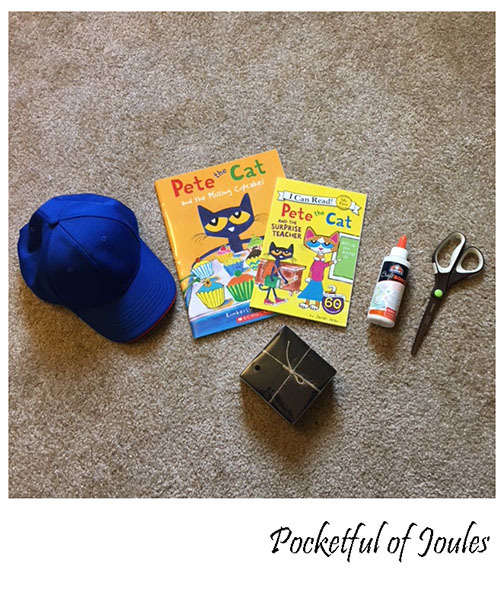 Pete the Cat is Jack’s FAVORITE book character right now. 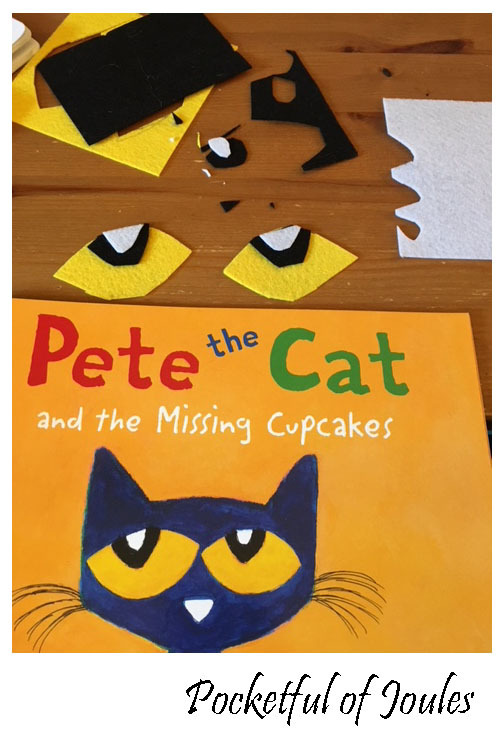 We literally have a dozen Pete the Cat books that we read on regular rotation and still tend to pick a few more up each time we visit the library. 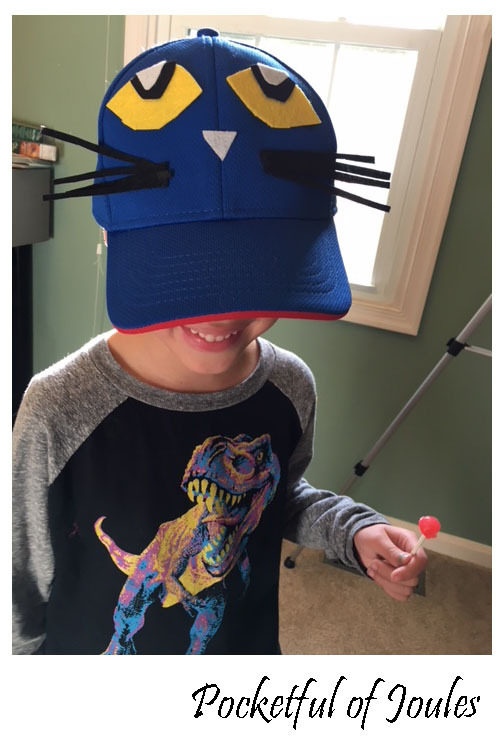 So, Jack decided he needed to be Pete the Cat. 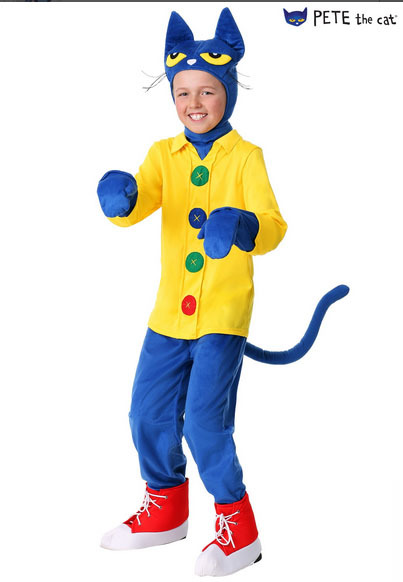 First I did a quick online search to see if there were any cool (and inexpensive) Pete the Cat costumes out there. And found this, which is horrifying. Yeah, that’s not happening. Also, it was $50. So… no. I then did some pinterest searching for homemade versions. Most of them were also kind of weird and creepy. Finally, I found one where the Pete face was on a baseball cap. 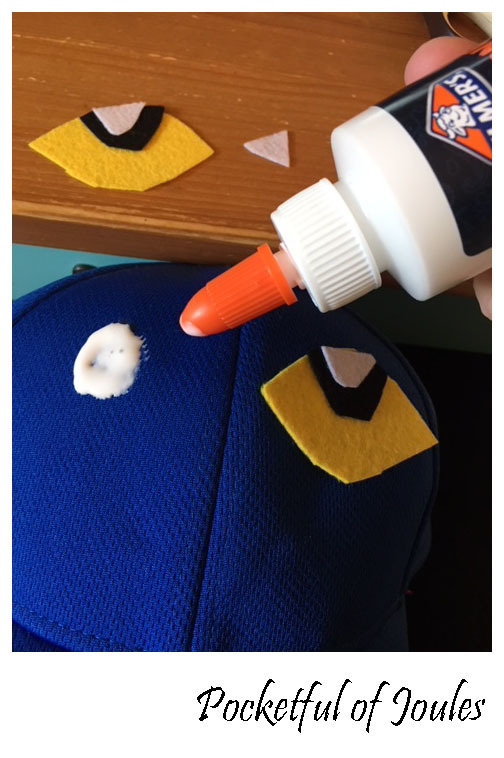 Jack actually had a blue baseball cap from a previous Halloween costume of Fix-it Felix… so I ordered some felt, bought some glue and assembled my supplies. I started by cutting out some vague eye shapes and when I found a set I liked, I copied it for the other side. Then, I cut out a triangle nose, some whiskers and started gluing. For character day, the plan is to have Jack wear the Pete hat, a blue school hoodie, blue track pants and his chucks. So, basically his normal school clothes and a baseball hat. I’ll go ahead and call this a lazy DIY because I know you’re already thinking it! However, it cost less than $10 (I had to buy the felt and fabric glue) and used stuff we already had around the house, so I’m going to call it a win! What last minute costume ideas have you thrown together? 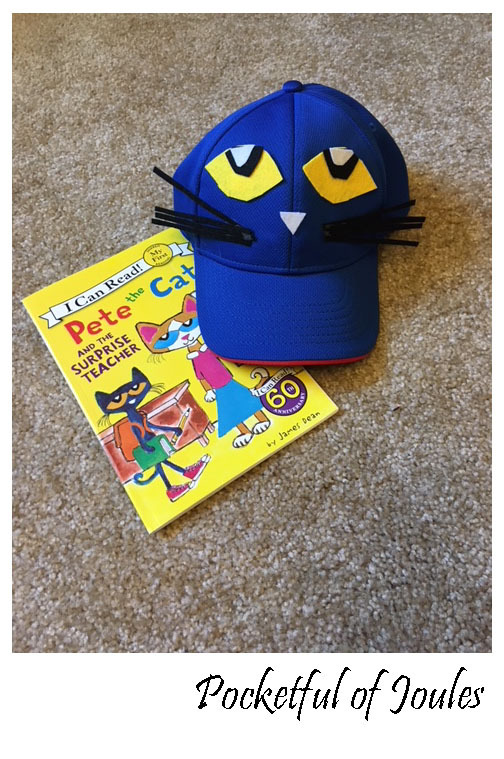 Does my hat look close enough to Pete the Cat to pass? As long as Jack likes it, that’s the main thing. Really cute!